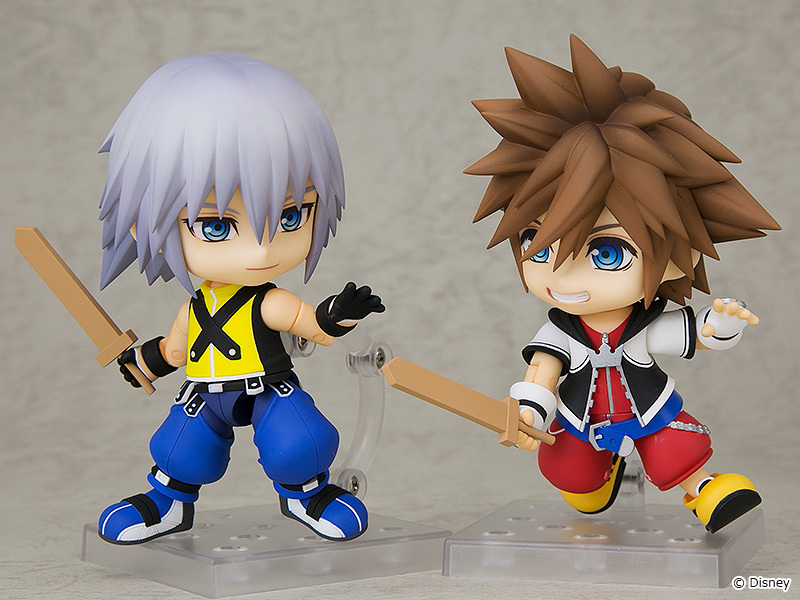 News ► KINGDOM HEARTS Riku Nendoroid Revealed! Wonder Festival, the world's largest figurine convention, is currently taking place in Chiba, Japan. Various companies are coming together to showcase all sorts of merchandise, as well as making new announcements for what fans can expect in the near future. Among them is Good Smile Company, well known for their Nendoroid line of figurines. They had just revealed a KINGDOM HEARTS Sora Nendoroid a few days ago, which will be the first in the line of a new series. With WonderFest providing the perfect occasion, it goes without saying that we will see other Kingdom Hearts Nendos as well. Now thanks to W.H.L.4.U, we have learned that a Riku Nendoroid is coming our way! More information will be available later. I love that we keep on getting more and more KH merch these days, but MY WALLET IS IN TEARS!!! Riku eh, only a matter of time before Howler finds this. Now I need both. I feel like you can't have one without the other. Not ok. I was doing ok avoiding Sora by himself but now they gotta add Riku? Wallet aint happy Square. I can't keep up at this pace. Looks like I'll have to bag another job, so I can bring home the bacon. Pop figures can be anywhere between 10 to 15 dollars base value and these are anywhere between I think 40 to 80? And that doesn't always include shipping across seas when they aren't sold at retailers in other countries. Not to mention that Pops are simplistic and produced by the hundred thousands? And I don't know exactly how many Nendodroids they make at a time, but they are much more intricate, with changeable parts, stands, and accessories. This is a situation where quantity trumps quality is the point I'm getting to lol but these do always look 1000x better than any Funko figures. Funkos are common and affordable, whereas although Nendoroids are clearly better produced, they are several times more expensive and require either an Asian hobby store nearby or importing online. For the fans who don't particularly care about what the merch looks like and just want something to represent their favorite brand or characters, Funko is the better option. omg...OMG YES. YES. YES. THIS IS IT. THIS. IS. IT. I NEED IT IN MY LIFE, THIS IS THE ONE. THIS IS THE ONE RING FOR ME LADIES AND GENTES. I've been waiting for the day SE would collaborate with Goodsmile!! These nendoroids are the cutest things. I hope they at least make a KH1 Kairi to go with these boys... I'd love to recreate the "Sora, you lazy bum!" scene, complete with Riku in the back! Fingers crossed for a full series of KH nendos! Looks great. I like Riku's calm, but happy expression here.